Come Over to the Dark Side...An Introduction to Dark Tea. When you hear the word Tea, what usually comes to mind? Black, Green, White...perhaps Oolong? Or do you think of a specific tea blend like Earl Grey or English Breakfast? I think it's probably safe to say that one type of tea that doesn't pop into your brain is Dark Tea. What in the world are dark teas you ask? Dark Teas originated in the southern provinces of China many hundreds of years ago. These mysterious and tantalizing teas are now becoming more popular in the west because of their complex flavors and unique health benefits. It all started during the Song Dynasty with the emergence of "The Tea Horse Road" which was a trade link from the southern provinces of China to the country's perimeters. In particular to the very remote regions of Tibet and Mongolia which depended on tea for nutrition. Tibetan ponies were traded for the tea to fight the warring nomads from the north. Now who could EVER say tea is boring? Before we go any further let me just clarify that all teas (black, green, oolong, white) come from the same plant or subspecies of the plant "Camellia Sinensis". What differentiates them are the processes applied to the leaves. Herbal teas (tisanes) come from entirely different plants and have their own special health benefits and characteristics. Dark teas go through a post production fermentation step that no other teas undergo. This intentional extra step triggers a chemical reaction in the tea that not only improves its character as it ages, but also gives it probiotic attributes. This is the exact opposite of all other tea types which lose their freshness and fragrance over time and although packed with powerful antioxidants, they are lacking the probiotic traits. Back in the day, tea was compressed into bricks for easier transport and the fermentation step was an accidental discovery. These tea journeys, made by men carrying the tea bricks on their backs, were were extremely slow and long in ever changing weather conditions. Moisture combined with the microbes in the tea and led to a natural fermentation. Today this process has been duplicated on a more modern level but many of the traditional methods are still in use. Puerh teascome from the Yunnan province of China and are named after the town of Puerh.Hei cha teascome from other southern provinces such as Hunan. The manufacturing process for hei cha is a bit more complicated than puerh but both go through the required fermentation. 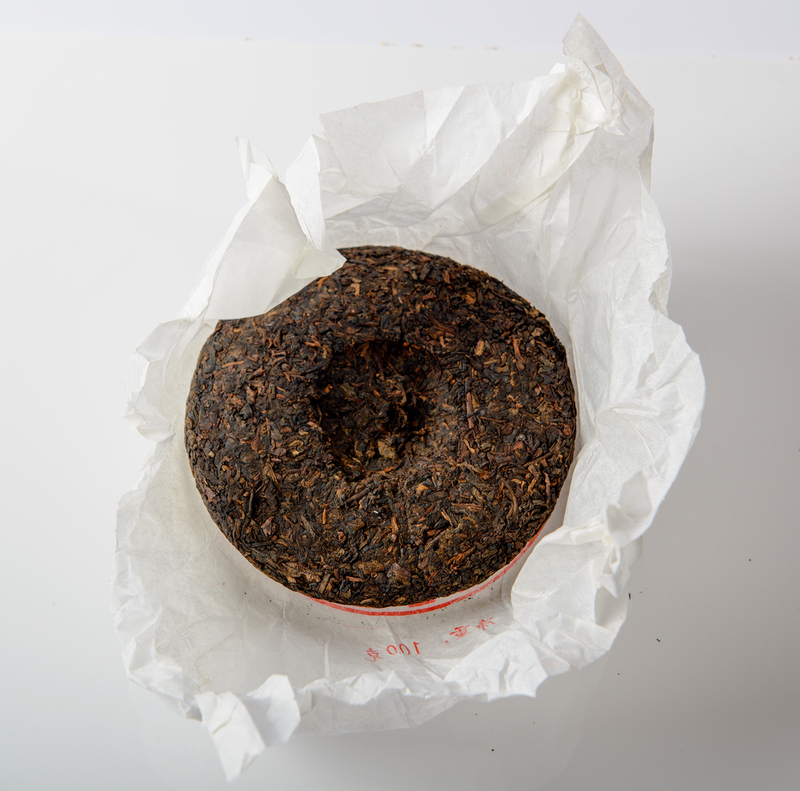 Puerh teas are definitely the more commonly known dark teas and are typically easier to find. When properly made these fragrant teas can evoke many aromas such as earth, stoned fruits, wood an even humidity. Puerhs can be divided into two categories. Raw (which in Chinese issheng) and cooked (which in Chinese isshou). Raw puerhsare manufactured in a more traditional fashion and can be loose or compressed into cakes of various shapes. These cakes are aged anywhere from 5 to 70 years and sold just as you would sell a fine aged wine. With each year that passes, the flavor profile becomes more rounded, mellow and subtle. Cooked puerhsare made by a more modern method and take less time. They too can be compressed into cakes or come in loose leaves. Due to the speedier processing, these dark teas tend to be darker in color and more robust in flavor. What YOU need to know about these captivating dark teas. Dark teas are packed with antioxidants that fight the free radicals in our bodies that lead to disease. Because of the unique fermentation step that dark teas undergo, they possess probiotic qualities that help to keep your digestive tract healthy and aid in stomach upset. Dark teas are the only teas that improve with age like a fine wine. The two main types of dark teas are puerh and hei cha. Dark teas can be blended with other ingredients for a multitude of flavor and aroma profiles. Don't be afraid of the dark. A whole new world of delicious teas awaits. This blog post was first published on SixtyandMe.com on February 22, 2018.